A new main entrance to the TD Garden on Causeway Street has opened for Garden events. Delaware North is taking the wraps off of the biggest expansion in the 23-year history of the TD Garden: A 50,000-square-foot, $100 million addition designed to add concessions, spruce up club areas, increase seating, and — finally — give the Garden a proper front door. 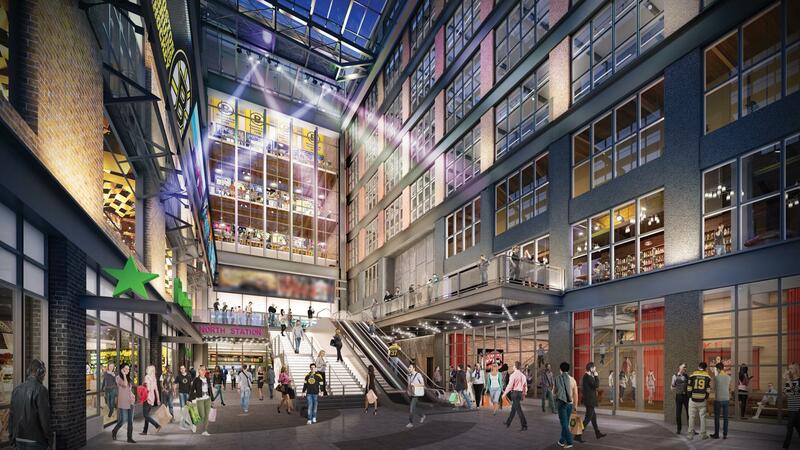 It’s connected to the 1.9 million-square-foot Hub on Causeway project, which Delaware North and Boston Properties are building on the adjacent site of the old Boston Garden. 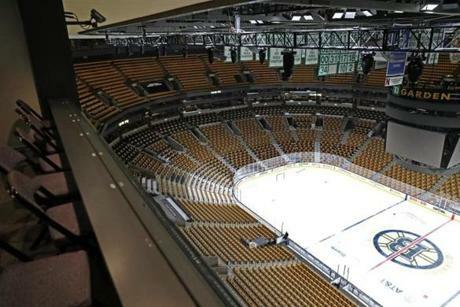 That will allow the TD Garden — whose footprint hasn’t changed since it opened in 1995, just inches from the old Garden to expand and offer fans a wider array of ways and places to watch a game. These days, that means offering more areas for people to hang out and spend money. The project includes expanding the two main concourses, at the loge and balcony levels, and adding pop-up food areas and bars, and huge TVs for fans who would rather linger in the hallways. Delaware North will build a new club area — for the newly renamed “Boston Garden Society” — on the fifth and sixth floors with views of the downtown skyline. There also will be a new bar on the eighth level and, on the ninth floor, another club area — “Rafters” — with a new row of seating hanging out over the Garden’s existing stands. All told, the improvements will increase the arena’s capacity by more than 400. Most of the work is scheduled to be complete by next fall, in time for the 2019-2020 Bruins and Celtics seasons. A worker cleaned up around the entrance to TD Garden. The renovations and additions are intended to help keep the Garden up-to-date — to make a place where people will eat, drink, and linger before, during, and after an event, Latimer said. It’s a bid to compete both with other entertainment venues around town — as well as with your living room TV. The seating and low wall will be removed for expanded drop seating halfway around the garden. 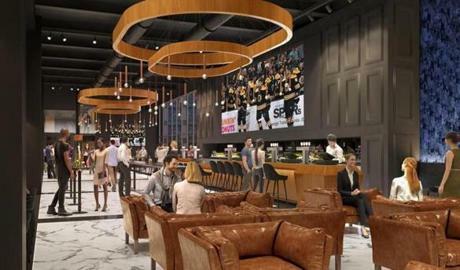 There also will be some nuts-and-bolts changes, including new seats in the arena’s bowl, new locker rooms for the Celtics and Bruins, and expanded women’s restrooms — 55 more toilets in all. The front entryway off Causeway Street, which opened for Garden events for the first time last week, will give event-goers a route straight into the stadium instead of venturing into North Station first. 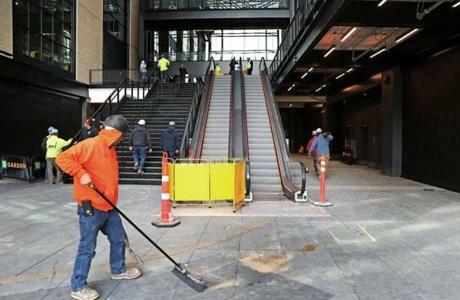 The improvements follow a $70 million round of upgrades completed three years ago, meaning Delaware North has spent more renovating the Garden than it originally cost to build. By the time the work is complete, Latimer said, it will essentially be a new facility, in a part of town that — with improvements to North Station below and the new Hub on Causeway next door — is far more in the center of the action than it was when the Garden opened 23 years ago. New rafter-level seating and club areas on the 9th Floor of the TD Garden, part of a 50,000 square-foot expansion of the arena. 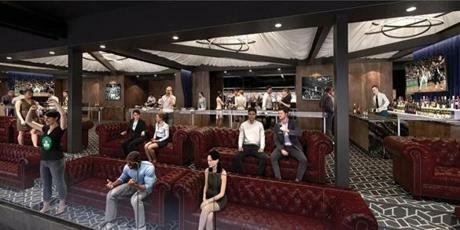 An expanded “1928 Club” on the 5th and 6th Floor of the TD Garden is part of a 50,000 square-foot expansion of the arena.